Product prices and availability are accurate as of 2019-04-20 19:58:26 UTC and are subject to change. Any price and availability information displayed on http://www.amazon.com/ at the time of purchase will apply to the purchase of this product. 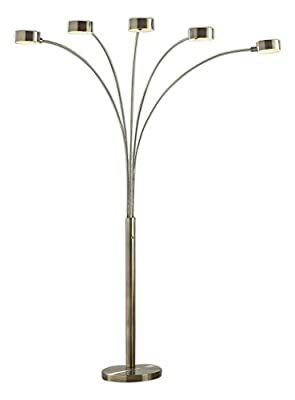 Light up your living room, bedroom or office with this sleek and modern inch micah plus" 88 inch Antique Satin Brass LED arched floor lamp with dimming capability. 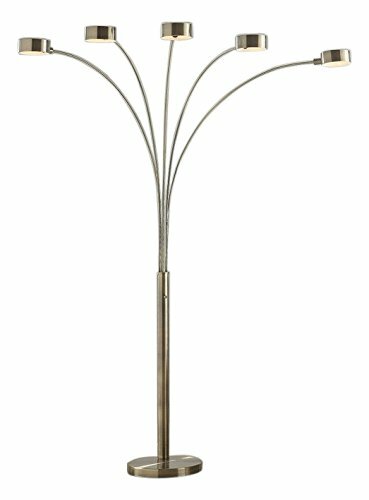 Inch micah plus" is a perfect addition to any room with modern or contemporary decor. The curved design adds a soft note to your decor. 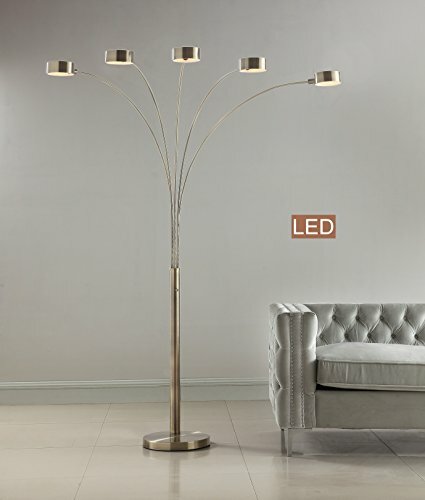 Standing over 7 feet, the fixture has a statuesque appearance and draw attention. The Artiva exclusive LED floor lamp allows you to direct the light wherever you need it and provide ample lighting for reading, writing or creating a spot light in the setting, behind the couch, in the corner or in the center of your living room. Heavy weighted base grants perfect balance and prevents the lamp from tipping. Artiva USA exclusive five true 360-degree view angle LED bulb included. 2400 lumens used only 22W of energy. Compare to regular 200W lamp, Artiva arched lamp will save you over $40 each year of your electricity bill (based on 6 hrs per day usage and 11 cents per kilowatt. US patented design. US patent no. US D753, 867 s.